The Brose plant in Ostrava has become the biggest production site of the global corporate group within the past ten years. The final expansion stage included a fully-automated high-bay warehouse with 9,700 storage spaces and the implementation of a cutting-edge logistics concept. Brose's shareholders, advisory and executive management board celebrated the 10th anniversary of its Czech location in the presence of guests from government and industry. More than 200 million euros have been invested in the 170,000 sqm site, which is now almost completely developed. With more than 2,500 employees, Ostrava is currently the biggest production site in the Brose Group. The anniversary also saw the opening of the first Brose Kids Club abroad. The education and childcare center is just a few steps away from the site's premises and can mind to 70 of its employees' children aged 14 and under. The Kids Club in Coburg, set up in 2010, will be serving as a role model in this context. Brose's plant in Ostrava has significantly gained in importance over the last decade: whereas some 600 employees produced seat adjusters and closure systems for eight European and overseas customers in 2004, the plant now has a workforce of more than 2,500 people in production and administration. Its range of products includes front and rear seat structures, closure systems and electric motors for more than 30 carmakers and automotive suppliers around the world. The plant generated sales of some 470 million euros in 2013. "Our decision to continuously expand the capacities in the Czech Republic was prompted by the reliable and cost-effective production and the employees' expertise and loyalty," said Michael Stoschek, Chairman of the Brose Group, at the event. 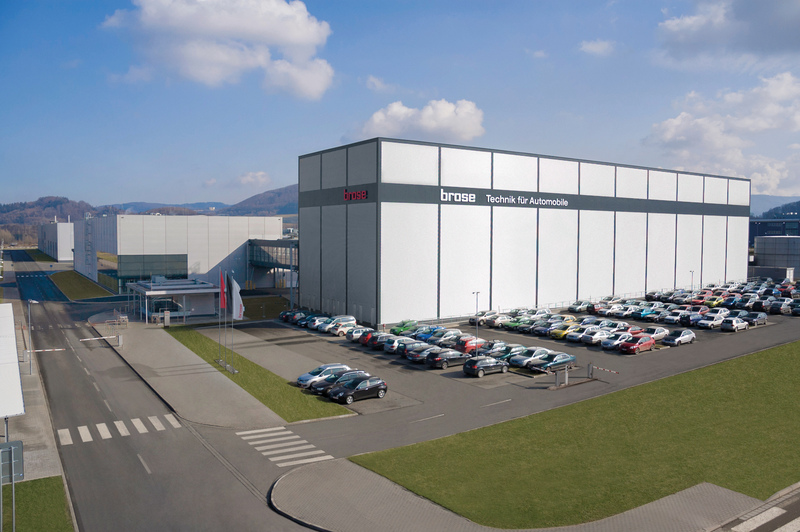 Establishing a base in Ostrava has been a win-win situation for the community and Brose right from the start. "Ostrava now has the great opportunity to also qualify as a lead plant for seat adjusters and become a know-how supplier for sister plants. The location will thus be able to take on more responsibility within the Brose production network. We expect the plant's turnover to increase by 50 percent during the next four years, creating at least 300 new jobs," explained the grandson of the company's founder Max Brose. Mayor Jalůvka: "Brose is the pearl of the Northern Moravian region"
Josef Jalůvka, First Mayor of Kopřivnice, referred to Brose's Czech plant as the "pearl of the Northern Moravian region" in his speech during the event: "Brose has become the most important employer in Kopřivnice over the past 10 years and is now a key pillar in supporting the region's economic growth." The focus is not primarily on growth at any price, although the floor space has quadrupled in several expansion stages since the plant went operational and the number of employees has also increased continuously since. As a family-owned company, Brose also aims to be an attractive employer for its employees. "Brose's efforts for the families in our region are particularly commendable, spanning from support for employees to its involvement in local sports and cultural activities," emphasized Jalůvka. The facility is divided into four areas: a nursery school provides high-quality pedagogical care for toddlers aged 1 to 3 years. The pedagogic staff of the kindergarten leads children between three and six years through a varied day program with numerous play and learning activities. In addition to assisting the school children with their homework, the Kids Club also offers sports programs and technology, language, arts and crafts courses in the afternoon. An interesting holiday program rounds off the range of services: some 35 children took part in the holiday activities which is quite good for the start. The numerous registrations for the nursery school and kindergarten are also proof of the great need for these services. Moreover, Brose Ostrava has offered a special summer holiday program for some 550 children of its employees for several years.